Youthful talent on his new deal and 2019, presented by Maxima Racing Oils. 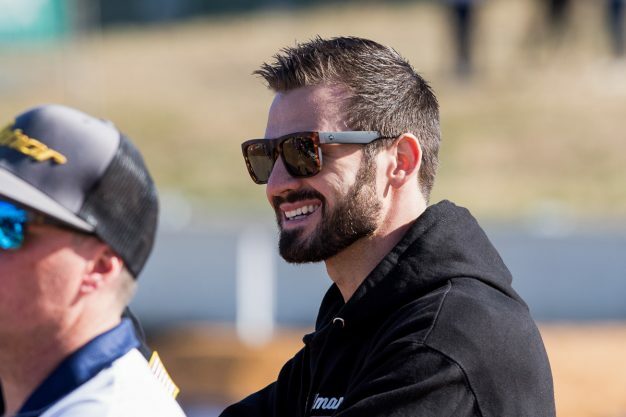 Making a full-time return to competition in Australia, popular New South Welshman Hayden Mellross will head up the recently-appointed factory-backed Raceline KTM team in the 2019 Pirelli MX Nationals and Australian Supercross Championship. 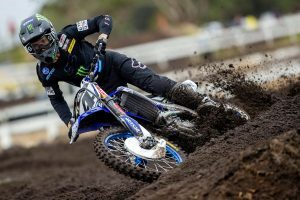 MotoOnline.com.au tracked down the number 45 to get the latest is on his new deal and re-entering the premier class this season. 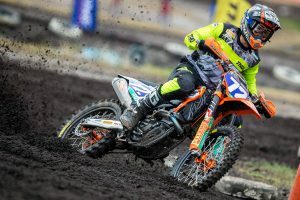 You’re back in Australia full-time this year, how how did the deal come about to spearhead KTM’s factory efforts with Raceline? 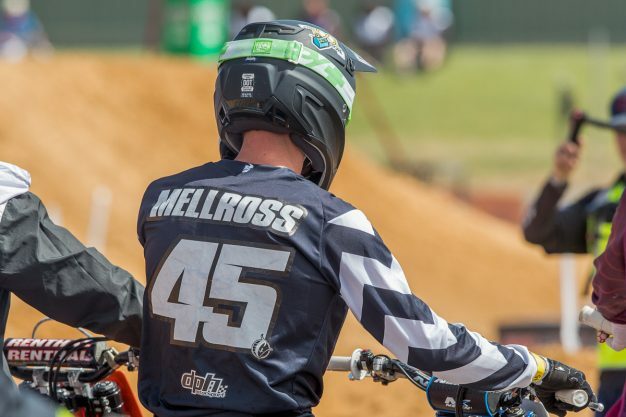 The deal came around the end of the Australian supercross series last year – I had all the intentions of going back to America and racing there – that was my number one goal. Nothing really eventuated there – you see guys like Dean Wilson even struggling to get a ride, so for myself, I held off as long as I could without being rude to any teams here in Australia. It got to a point where I had to make a decision on my plans for 2019, and that’s when I wanted to go the direction of Raceline KTM. They offered me a really nice package that will provide me with what I feel I need to win on the 450. It’s a great group of people, and from day dot, people were bending over backwards to help me. That was the main reason I went in that direction. I’ve been on the bike for over a month now, and I couldn’t be happier with it. You’ve obviously raced in America for the last few seasons, are you disappointed at all to not have been on the gates for this year’s series? I’ve had a great stint in the US – I’ve been lucky enough to race over there for the last three years in supercross. Over the course of the three years my results had gotten better and stronger, which was great and I really kind of thought my performance here in Australia and New Zealand would allow me to secure something. The industry is really tight globally right now, and it was really hard get something. In saying that, I was a little disappointed missing the races as I haven’t missed an Anaheim 1 in three years – that’s minor compared to a lot of other races, but in the three years, I had the time of my life and learned so much. I didn’t want to be too disappointed, because what I have created and been offered here in Australia is more than I could’ve wished for. To be home with my family and friends, it’s really a great decision to stay here in Australia. I can’t quite remember what year it was, but yeah, I stepped up and did a privateer deal – Chris Woods took me under his wing along with John Tisdale and the whole Tisdale family – they are the same great people that they are today. It’s the same organisation that I’m dealing with today. Chris helped me through my rookie year in the MX1, we didn’t miss a race and I was healthy all season – I think I finished up seventh in the championship and won the Andrew McFarlane award, which was great. I learned a lot that year with the team – I’m taking all that knowledge and experience I have with the team into this year. I was only young, but I learned a bucket load. It is a long season, and that’s something I need to adjust to. With the US season, it’s bang, bang, bag, race after race – you’re actually not training as much as much as people think because you ride three days a week and race on the weekend. That’s a crazy difference, because here we’ll race from March to August [in the MX Nationals]. I started in December with heavy training in beginning in January, so when you have eight months of heavy training, you tend to get worn out. That’s going to be the biggest thing – management and making sure I don’t peak too early, and not just that, but also staying at my peak for the races that count. That’s all knowledge I’m taking on this year, as well as the organisation I’ve dealt with before. I couldn’t be happier, and so far, everything has been running smoothly. This year the championship could be anyones – where do you see yourself in the mix? I’m a racer, so I’m going into any championship – regardless if I’m the favourite or underdog – I’m going into win. Yeah, that’s going to be a huge ask each and every weekend because the riders we have in the MX1 class are quite talented. 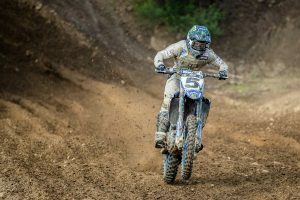 We may have lost Dean Ferris – arguably one of the best motocross racers we have – but we also have a lot riders that have come back, like Todd Waters. Waters, [Brett] Metcalfe and [Kirk] Gibbs have been racing the championship for so long, and I think racing against these veterans will be the biggest challenge. Using my experience from America – I didn’t get a whole lot of motocross in there, but it’s race experience with intensity. I’m going out there to win, and that’s what my team expects of me. Being a 10-round series, I just want to stay consistent – I think I’ve shown that in my pro career here in in Australia. It’s strange to think you’re the senior rider of the squad still being quite young yourself. Do you think you’ll play as a mentor or role model to your youthful teammates of Jy Roberts and Regan Duffy? I’m only 23, so to be the oldest rider on the team is quite strange. It shows Australia has a lot of youth and a lot of up and coming riders, which great to see. I hope they lean on me a little bit, obviously I’m a little older than those guys and I have raced internationally, so I really hope they do lean on me for support and guidance. From what I’ve got to know of Jy and Regan, they’re great riders and great people. I feel like as a whole team we’re going to work together well – if we can help each other out and communicate, we’re going to be one of the strongest teams in the 2019 campaign.